While selective serotonin uptake inhibitors comprise the major class of modern antidepressants, the role of serotonin in reward function remains poorly understood. The complex reward pathway is key to understanding the mechanisms in the brain related to addiction. Scientists have examined the structural and molecular characteristics of the synaptic connectivity between certain serotonin neurons (Dorsal Raphe or DR) and dopamine neurons in the brain’s ventral tegmental area. The study findings suggest this pathway promotes reward by releasing glutamate and activating specific dopamine neurons. This study is important in determining how these specific neurons affect behavior, offering a target for further research, including the development of medications that could manage these reward areas. The research was done by scientists from NIDA’s Intramural Research Program, the University of Maryland and the University of Texas. Hui-Ling Wang, Shiliang Zhang, Jia Qi, Huikun Wang, Roger Cachope, Carlos A Mejias-Apont, Jorge A. Gomez, Gabriel E. Mateo-Semidey, Gerard M. J. Beaudoin, Carlos A. Paladini, Joseph F. Cheer and Marisela Morales. 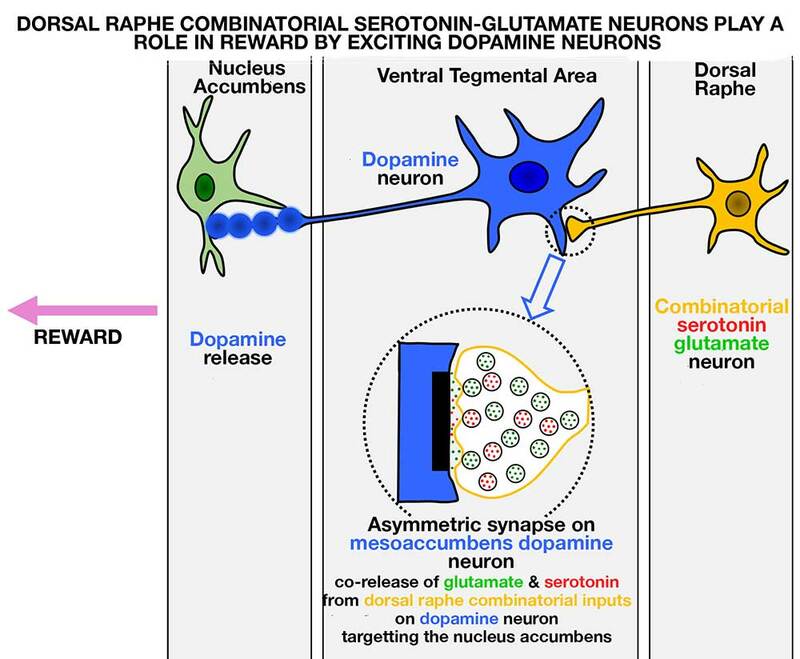 Dorsal raphe dual serotonin-glutamate neurons drive reward by establishing excitatory synapses on VTA mesoaccumbens dopamine neurons. CELL Reports.